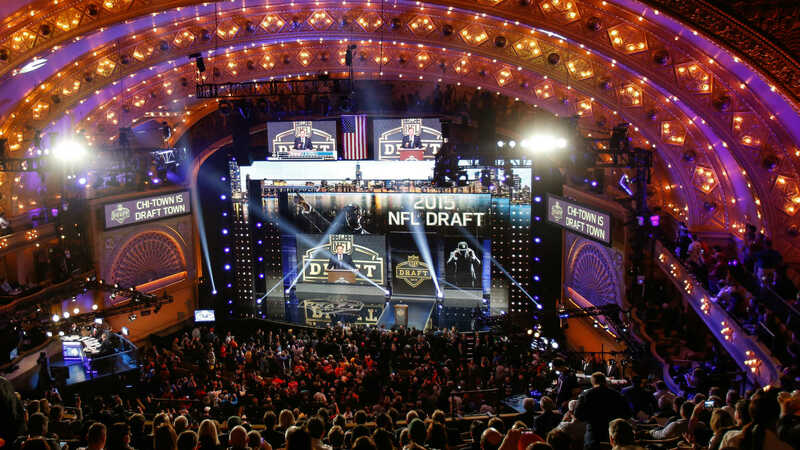 With the end of the NFL season in sight, it is time to focus on one of the better stages of the offseason: The NFL Draft. If your favorite team did not make, or caught an early exit from the playoffs, more than likely GMs and scouts are already working day and night on a plan to improve their team's fortune. We take a look at the teams in the draft with the top 10 picks and project what the team needs and who they could draft. When you have the #1 pick of the NFL draft that typically means you need help at the quarterback position or help all over the field. In the Titans case, they need help all across the board on offense, other than the aforementioned quarterback spot. A great place to start is by grabbing the best Left Tackle in the draft to protect the face of the franchise in Marcus Mariota. Yes, Tennessee does have Taylor Lewan and he is a solid player but he is best suited playing at the Right Tackle spot. When you give up 105 QB hits and a league high 54 sacks and your QB has to miss playing time because of that, you need to make that change to maximize not only the talent on the line, but give a guy like Mariota more time to work with. Like Tennessee, the Browns need help across the board on offense and defense. Cleveland ranked one of the worst in every major stat on both sides of the ball so any kind of pick will be an instant upgrade. However, with the addition of Hue Jackson at head coach and Johnny Manziel apparently heading out the door (Jackson doesn't want him around), it would only make too much sense to draft the best signal caller in Jared Goff. The highly touted prospect has drawn comparisons to another Cal QB in Aaron Rodgers and as crazy as it may sound, that isn't a far-fetched statement after throwing for 4,252 yards and 37 TD passes. Goff can make every throw you want in an NFL pocket passer and has the mental capacity to bring life into a lifeless offense (which is Cleveland). Pairing him with Hue Jackson is a great start to turning around a horrific offense. A tackle here would have been ideal for San Diego but since I had Tunsil going #1, I'll put Joey Bosa here instead. The Chargers run a 3-4 defense but Bosa has the kind of versatility that could have him playing both DE and the pass rushing 3-4 OLB position. Bosa can bring an immediate impact to a defense that ranked 24th in sacks and 27th against the run and wasn't very good at producing turnovers. This would also make sense because Melvin Ingram not only had a tough time staying healthy, he is entering a contract year. It's no secret that the Cowboys have been having issues in the secondary for some time now. They addressed it with their first round pick in 2015 by picking the versatile Byron Jones. While Jones enjoyed a pretty good rookie season, there are still holes to be filled. Orlando Scandrick is coming off a knee injury, Mo Claiborne is a free agent, Brandon Carr could be a cap casualty, and Dallas still needs that playmaker at safety. Enter Jalen Ramsey, regarded by some as one of the more talented and versatile players in the draft. He can play either the Cornerback or Safety spot and bring an immediate impact on a defense that went from 2nd in forced turnovers (2014) to the worst in 2015. Like Jones, Ramsey can line up all over the field and make a difference. He can also get after the Quarterback on blitzes and is pretty good against the run. A talent like this is hard to pass up. Protect your investment. What I mean by that is if you have a young franchise QB, you should have a young franchise Left Tackle to protect him. At this point in the draft, Ronnie Stanley is the best at his position and can help stabilize a line that gave up 51 sacks. Luke Joeckel was supposed to be that cornerstone left tackle but has been underwhelming to say the least. Moving him around on the line could help but he isn't suited to be a left tackle. 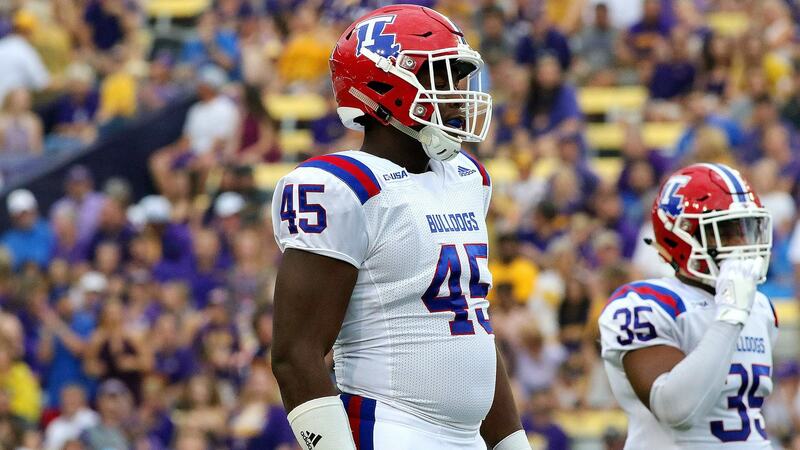 With Stanley, Jacksonville would be getting one of the better (if not the best) pass protectors in the draft. I almost went with a pass catcher here because the Ravens need to start thinking about life after Steve Smith soon. On the other hand, when your defense is dead last in interceptions (6 during the season), it makes addressing the secondary the #1 priority. Vernon Hargreaves III has been considered the best cover corner in this draft since he stepped foot at Florida. Although he had a rough finish to the season, he was still arguably the best shut down corner in the nation. He will bring much-needed help to this secondary. The first season without Jim Harbaugh saw the 49ers defense ranked near the bottom of the NFL in sacks and run defense (29th in both) last season. With that being said, Buckner would be a nice fit in the 49ers 3-4 defense. At his size (6'7, 290) and his ability to rush the passer and to stop the run, he would be an instant upgrade to the defense. He's drawn comparisons to Calais Campbell; I wouldn't be surprised to see him match his productivity in the long run. Myles Jack is one of the most talented players in this draft after playing both ways at UCLA as a running back and linebacker. Before his knee injury, Jack might have been a top-5 pick in this draft and even so, there is still a chance he can be. The Dolphins need help behind the front line of their defense and drafting Jack will add talent and depth to a much-needed spot. Although he can play all 3 LB spots, he is better fitted playing on the outside where he can rush the passer, cover running backs and tight ends, and even some receivers. He is that talented and can be a playmaker in a defense that needs more. In a division with QBs like Drew Brees, Cam Newton, and Matt Ryan, you can never have enough pass rushers, but the Bucs really don't seem to have enough of them. Gerald McCoy led the team with 8.5 sacks and Jacquies Smith was second with 7. Other than those two, there wasn't much of a pass rush. Shaq Lawson is arguably the best pass rusher in this draft class who is also capable of making plays in the back field versus the run. Before his injury against Oklahoma, Lawson was making a living in the backfield, he was doing the same against an also pretty good Alabama offensive line in the championship game. Ranked last in pass defense and 25th in yards per attempt, the Giants also might be losing their best cover corner in Prince Amukamara due to free agency. The quickest way to not only replace, but upgrade from him is to draft the shutdown corner out of Clemson. Mackensie Alexander had a great season for the Tigers before re-injuring his hamstring in the title game against Alabama. Alexander will bring swagger and an immediate impact to a defense that is in need of a true #1 cornerback. I've been a part of the Cowboys Nation faithful since I was a child and I've had a desire to be a journalist as well as an analyst since early high school. My family has always loved the Cowboys so it was inevitable that I would soon share this passion with them. Now I want to share it with others. As a student of the sport I love to re-watch games and break down what went on, I hope you enjoy this as much as I do. 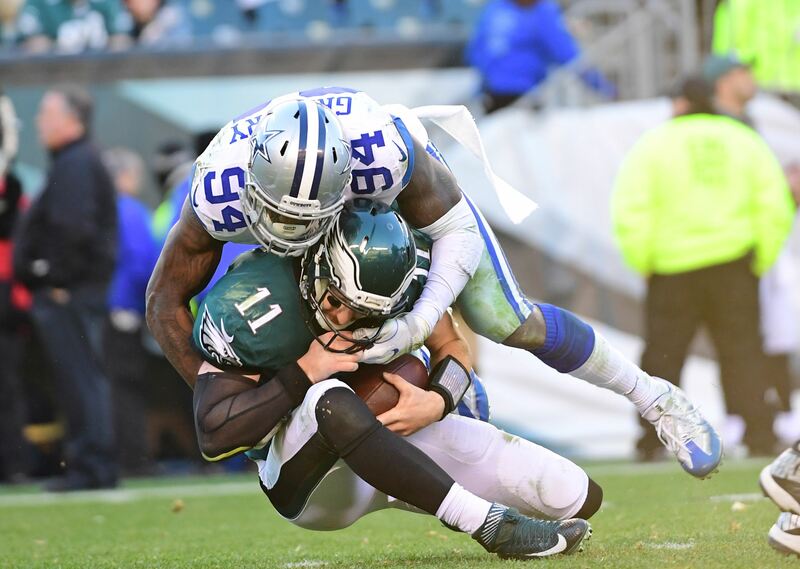 The Dallas Cowboys have been pretty forthcoming about their desire to add another starting caliber running back to pair with Ezekiel Elliott at some point in the 2019 NFL Draft. That would suggest they are prepared to take one as early at 58th overall in the second-round, or at some point in the rounds in which they hold a draft pick beyond that. 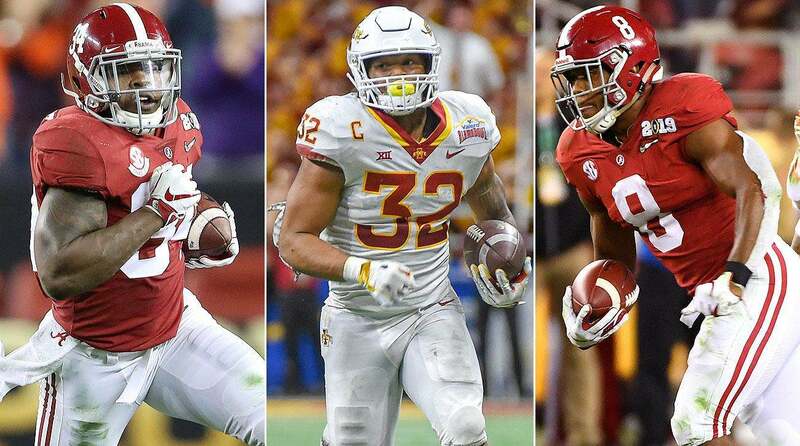 Depending on what the Dallas Cowboys mean by "starting caliber", this year's RB draft class offers some pretty intriguing candidates. It's almost impossible to know at this point which RBs might have caught their eye, so I thought it would be a good idea to share with you some of these potential candidates they could target in each round. With maybe the exception of Josh Jacobs, every other running back could be in play for the Cowboys. Damien Harris was a three-year starter during his time in Alabama and led the team in rushing in each of those three seasons. He is one of the more complete running back prospects in the 2019 draft class and the most pro-ready. He has excellent vision and instincts, allowing him to evade would be tacklers despite his lack of explosion. He actually reminds me of a slightly less explosive version of Ezekiel Elliott, and if paired with Zeke would give the Dallas Cowboys the best RB duo in the NFL. David Montgomery was a three-year starter and an every down back in a heavy zone-read offense at Iowa. He is an ultra-competitive back who broke a lot of tackles during his time in college. He is elusive in short areas with quick, active feet and is quicker rather than fast. He is a good receiver out of the backfield and solid as a pass protector. Overall, he is a starting quality RB capable of handling a heavy workload in the NFL. He would make a formidable 1-2 punch if paired with Zeke. Darrell Henderson was a three-year starter at Memphis and was the lead running back in their zone heavy offensive scheme. He is built (5'8", 208) more like a complementary back in the NFL and is at his best when he can slash and weave through gaps. He's not a grinder and doesn't have the kind of long speed to be a home run threat, but his agility and instincts should make him an intriguing starter in the NFL. He would be a really good complement RB to Zeke with the Dallas Cowboys. Trayveon Williams was a two-year starter at Texas A&M and thrived in the Aggies new coaching staff's zone blocking scheme in 2018. Much like Darrell Henderson, Williams is a bit undersize and projects best as a complementary back in the NFL. He is quicker rather than fast, and shows good vision and competitiveness in both the running and receiving game. Despite his size, he is also solid in pass protection, which should help him get on the field early as a rookie. Justice Hill was a three-year starter at Oklahoma State and led the team in rushing the last three seasons. He is another undersized running back who projects best as a complementary piece in the NFL. He is a shifty runner with good lateral agility and has shown the ability to be a threat in the passing game as well. His slight frame and small stature is a cause for durability concerns and could limit him as a pass protector as well. Rodney Anderson was pretty much a one-year wonder after his breakout season in 2017 at Oklahoma. He has had a run of bad luck throughout his collegiate career due to some unfortunate injuries, but has the size and skill set to become an every down back in the NFL if he can stay healthy. He reminds me a lot of DeMarco Murray with his upright running style and talent as a runner and receiver, but he's not nearly as polished at this point in his career. Alexander Mattison was a two-year starter at Boise State and became the first player in school history to earn the Mountain West rushing title in 2018. He is a crafty runner who runs with good patience and vision, which allows his blocks to develop. He is a big, physical back with only average burst, but his tenacious running style will wear down opposing defenses throughout the game. He is also a factor in the passing game, showing soft natural hands. He would be a solid RB2 and spot starter behind Zeke. Devine Ozigbo was a one-year starter at Nebraska and played in a heavy zone read, option offense. He is a hard charging runner who plays with a good burst, but only average long-speed. He is mostly a straight-line athlete, but is surprisingly elusive for a back his size. He has every down versatility due to his skills as a receiver and in pass protection. Like Alexander Mattison, he would be a solid RB2 and potential spot starter behind Zeke. Elijah Holyfield was a one-year starter at Georgia, but split the workload with D'Andre Swift in 2018. He looks the part of an NFL RB and has pretty impressive film that should get him drafted, but his poor testing numbers at the NFL Combine and his Pro Day will take him off of a lot of teams boards altogether. He is a tough as nails runner, but needs to improve his decision-making and tempo to stick around at the next level. If he can develop his game further, he has workhorse potential. Bruce Anderson had a really good four-year career at North Dakota State and was a triple threat as a runner, receiver, and special teams player for the Bisons the past four seasons. He runs with good contact balance and is elusive in the open field, but he doesn't have a real good feel for setting up blocks or choosing the optimal running lane. That could improve with better coaching in the NFL, but right now he's a work in progress. His ability as a runner, receiver, and kick returner is intriguing though and should get him drafted.